RAND MCNALLY & CO. - Philippine Islands. Philippine Islands. - RAND MCNALLY & CO.
Map maker : RAND MCNALLY & CO.. Date : Chicago & New York, 1895. Size : 26.0 x 18.8 inches. / 66.0 x 47.8 cm. 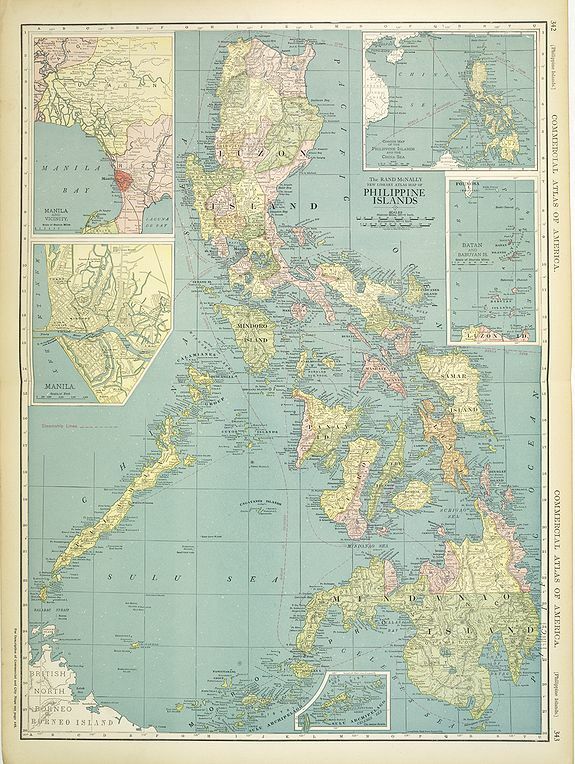 Description :Map of the Philippines, with insets of Manila, Manila vicinity, Sulu Archipelago, China Sea and Batan Islands. The shipping routes between the main cities are printed in red dotted lines. From : "Commercial atlas of America." Condition : Very good condition. Printed in colours. On verso a key to the principal cities.